I just learned that the FAA published critical safety procedures back in April pertaining to the new runway incursion avoidance standards for pilot testing. This is a surprise to me because I’ve taken several tests since April. According to FAA Safety Notice NOTC3863, which I recently surfed into, that new information was removed from the public list of notices in August. 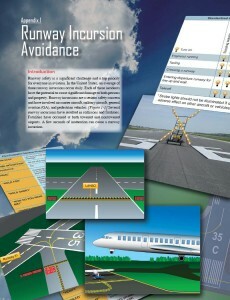 A New Chapter has been added to the Pilot’s Handbook of Aeronautical Knowledge (PHAK) entitled, Runway Incursion Avoidance. This chapter, contained in Appendix 1, provides the information pilots will be tested and checked on. This is where it gets weird. I went to update my copy of the PHAK today, but found the 2008 version is still the latest copy on the FAA website. I had also checked for updates in May, August, and October this year, and only found the 2008 version. I will take notes from the new material and include them below. One of the more interesting points is that the runway hold-short position might not be where you think it is! Although the chapter pertains mostly to surface movements for single-pilot operations, all of the information is relevant for flight crew operations as well. Runway thresholds in close proximity to one another. Instructions to back taxi a different runway for departure. Align heading bug and aircraft to the runway heading. Scan instruments (again) before adding takeoff power. Time should be taken to study the airport diagram and anticipated taxi routes based on the information provided from the ATIS and NOTAMs. You should not take for granted that the anticipated taxi route will be the same taxi route received from ATC, which is why it is so important to write down and read back the taxi clearance from ATC. This is a good reminder. In my experience, ATC is most likely to make mistakes in crossing clearances when taxiing on or crossing a closed runway. “Position and hold” is no longer in use. However, “traffic holding in position” is still used. ATIS will include the word “warning.” ATC will not. The brief should include “any runway hold markings in close proximity to the exit taxiway.” In other words, intersecting runways and hot spots. ATC may withhold landing clearance by saying “continue”. I think of this as a non-clearance, and I ask myself if I’m comfortable with what ATC is doing when I hear that. This section specifically covers what to do if a radio failure occurs while on a taxiway or runway. Flash landing lights several times. Wait for light signals. If no response after “a few minutes” then..
Broadcast in the clear on an alternate frequency. Call ATC via cell phone. I want to emphasize the above change because it suggests that stopping at the holding position marking, which is beyond the surface painted holding position sign, could result in a check ride failure. Compare this to the AIM, paragraph 2-3-5(d) which only describes the color and location of a surface painted holding position sign. There does not seem to be a regulatory requirement to stop there, but I am no legal expert and wouldn’t want to find out the hard way.